You now have the option to add an API to your website, giving your visitors the opportunity to stay on your website to view your tournament or league information. 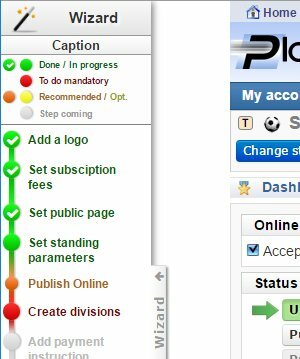 PlaniLeague has the ability now to manage leagues with tournaments using the motion / demotion system. 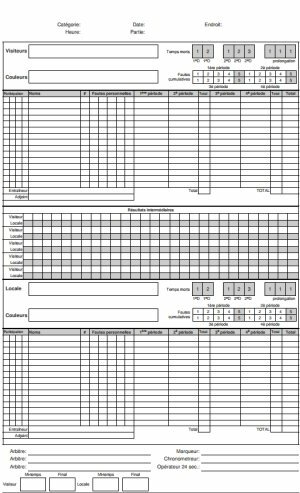 This system Often used for school leagues is a great addition to PlaniLeague and can be used very easily. For those who have already built their schedule from an Excel file, you now have the option to download your schedule directly into your tournament or league on PlaniTournament / PlaniLeague. For the organizer, in team / participant management, a small icon next to a valid email will appear when an account is associated for the team or the participant. 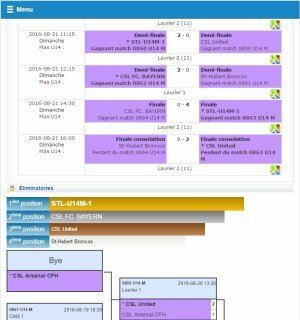 We adapted PlaniTournament / PlaniLeague to the needs of school leagues. You now have the pssobility to add several tournaments to a league. Each team will have a total ranking to track the results at each tournament. 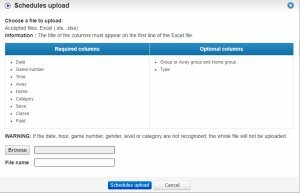 For greater ease, you can now assign your games from the creation of your qualifying games, without needing to go into game assignment to the fields. 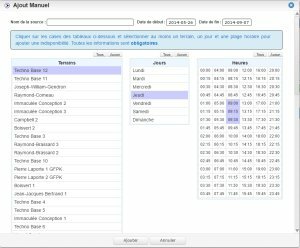 This feature is useful for those who want to copy their schedule already built. From the official schedule, you now have the option of assigning your officials for each game by clicking on a button to the right of the match for which you want to assign the officials. In the menu Teams / Players download, you can now download all players who will participate in your league, such as soccer. This allows teams to enter their players who will already be in the system with all their information up to date. 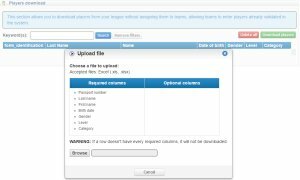 All league players can be exported from your as registrar used by your federation. 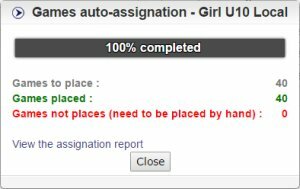 In the matchs assignment grid, when you double-click on a game in the grid, you can cancel, resubmit or remove the game. You can now select to send an email to teams or participant to inform them. In the management of field unavailability, you now have the option to manually add one or more unavailabilities and modify them. The unavailability of the fields allows an easy assignment of fields, whether automatic or manual. We have completely rebuild the public section to easily be accessible on desktop, tablet et mobile. 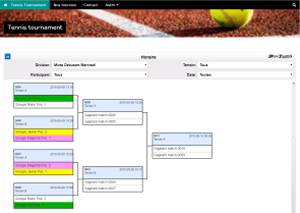 For tournaments, in the assignation of matches to fields, you can now click on the "Flash" icon of each division to assign all your matchs to fields automatically. A new wizard has been added to allow you to create and configure more easily your tournament or league. The wizard allows you to guide you step by step to preparing your tournament or league. For leagues, in the assignation of matches to fields, you can now click on the "Flash" icon of each division to assign all your matchs to fields automatically. In the news management that will be posted on your tournament page or league, you can now add images and thumbnail, thereby making announcements with pictures. In fault management, it is now possible to add a manual suspension for a player, ie a suspension that was already in place before the tournament or league. NEW: Create and assign matchs by week for leagues! 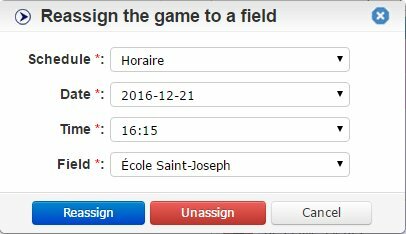 This new feature separate all the ligue matchs by week of the desired duration for a easy matchs assignation at your fields! 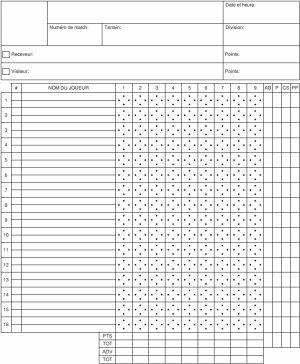 A new score sheet is now available and ready to use for hockey teams.